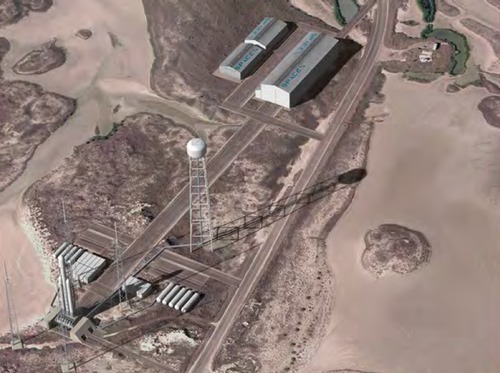 The FAA has given its environmental approval for a proposed Texas launch site for SpaceX, one of the last milestones before the company makes a decision on a new commercial launch facility. The FAA’s Office of Commercial Space Transportation (FAA/AST) issued Wednesday its “Record of Decision” on the proposed launch site on the coast of the Gulf of Mexico, east of Brownsville and just north of the Mexican border. The decision came at the end of a long environmental impact assessment of the proposed facility, which SpaceX would use for commercial launches of its Falcon 9 and Falcon Heavy launch vehicles. The FAA had released the final environmental impact statement (EIS) report in late May. The FAA concluded that the environmental assessment supported what the report called the “selected action,” namely, the construction of the spaceport. “I find that the Selected Action described in this Record of Decision is reasonably supported,” concluded George Nield, FAA associate administrator for commercial space transportation, in a statement he signed at the end of the memo. While Post said that the Brownsville site was “a finalist” for that commercial launch site, company officials have made in clear in recent statements that it was their preferred site. At the May 29 rollout of the company’s Dragon V2 crew vehicle, SpaceX CEO Elon Musk mentioned the environmental impact statement final report that had just been released. “We’re pretty excited about building that out,” he said of the Brownsville site. Earlier this week, a leading Florida official all but conceded that SpaceX would not choose a proposed commercial launch site near the Kennedy Space Center. Frank DiBello, the CEO of Space Florida, said Tuesday he expected SpaceX to announce it had decided on Brownsville site in the next week or two. “I am mad as hell, however, that we could not offer him a comparable alternative business site and environment here in time,” he said in a luncheon speech, as reported by Florida Today. I sure wonder what the other criteria are, that SpaceX refers to. Tax advantages, maybe? Infrastructure expectations (i.e. roads, comm, border security, etc)? The Floridian mentioned they really wanted SpaceX’ s business. I wonder what Florida couldn’t do “in time”. I also wonder if being a brand-new spaceport brings enough of its own advantages. Less influence by established players, for example. Then again, breaking new ground has its own challenges. Oh it’ll bring significant advantages for SpaceX. They will be able to clean-sheet the spaceport specifically to their requirements without consideration to any other party. It’ll be an example of how to do a really clean commercial environment and it’ll show up the significant waste that goes with government and semi-government pads. On the downside, well, there probably isn’t any given their experience gained with pads so far. None that I can see anyway. Does this approval cover landings as well as launches at this site? As far as I know SpaceX is planning to land all of its launch vehicles on solid ground at some point in the near future.